MEXICO CITY — Franklin strengthened into the first hurricane of the Atlantic season on Wednesday as it moved closer to Mexico's central Gulf coast, heading for an overnight landfall that would be its second on Mexican territory in three days. As a tropical storm, Franklin made a relatively mild run across the Yucatan Peninsula during Monday night and Tuesday, but its winds were rising and it was carrying rain toward a mountainous region prone to flash floods and mudslides. Veracruz state authorities ordered all classes cancelled at public schools for Thursday as a precautionary measure. Schools are frequently used as storm shelters in Mexico. The U.S. National Hurricane Center said Franklin had maximum sustained winds of 75 mph late Wednesday afternoon. 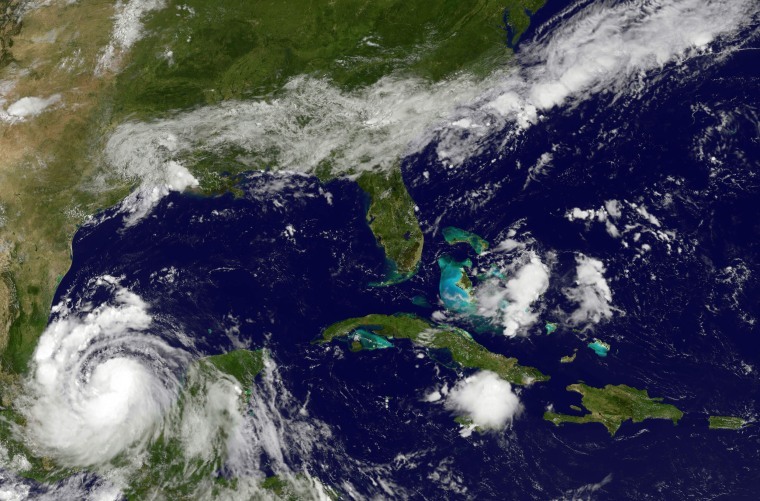 The storm was expected to gain more power as it moved across the southern Gulf of Mexico. Franklin's center was 105 miles northeast of the port of Veracruz and it was heading west at 12 mph. A hurricane warning was in effect for the coast from Veracruz city north to Cabo Rojo. A hurricane watch extended north from Cabo Rojo to Rio Panuco. Mexico Civil Defense director Ricardo de la Cruz said Tuesday that the storm's impact on Yucatan was not as bad as initially feared, with some trees down and power out in some areas. But, he warned, "The second impact could even be stronger than the first." The area Franklin was expected to pass across north of Veracruz city late Wednesday or early Thursday has been battered by deadly mudslides and flooding in the past. Forecasters said Franklin could drop four to eight inches of rain, with localized amounts of up to 15 inches.